BioCell Collagen® is a patented dietary ingredient which takes a comprehensive approach to skin beauty. It is a naturally-occurring matrix of hydrolyzed collagen and low molecular weight (LMW) hyaluronic acid (HA) and chondroitin sulfate, offering multi-layered mechanisms which counteract both natural and photoaging processes in the skin. First, it provides highly absorbable building blocks of essential components in the skin dermis, replenishing aging-dependent loss of both collagen and GAGs. Second, BioCell Collagen® provides an additional support for the integrity and healthy levels of HA. HA plays an essential role in skin hydration by retaining water in the dermis. It was shown that daily ingestion of BioCell Collagen® (1500 mg/day) increased HA levels in the blood about 60 fold from its baseline. Moreover, BioCell Collagen® inhibits HA-degrading enzyme, hyaluronidases, helping maintain the integrity of HA. This is particularly important for counteracting photoaging because chronic UV exposure of the skin results in the heightened activity of hyaluronidase, contributing to the skin dehydration, reduced turgidity, and wrinkle generation. A human skin study (2011) enrolling 26 ladies who were undergoing both natural and photoaging processes in the face demonstrated that daily ingestion of 1 g of BioCell Collagen® for 12 weeks led to a significant reduction of wrinkle counts and line depth while enhancing hydration, collagen content, and blood microcirculation. This outcome strongly suggests that the multiple actions of BioCell Collagen® synergistically antagonized skin aging process. The nature and biological properties of BioCell Collagen® described above are directly applied to hair health because the scalp is identical to the skin located throughout the body except that it also contains hair follicles that produce hair. Among other things, BioCell Collagen® increases HA levels for higher moisturization in the hair. The hair follicles are located in the dermis and both collagen and HA are important molecules for the health of this connective tissue because they nourish and hydrate the dermal layer in the scalp. By replenishing the loss of these components, BioCell Collagen® can help you grow healthy lustrous hair with moisturized scalp. In addition, the primary component of hair fiber is keratin protein, comprising 65-95% of total hair fiber by weight. Protein content of BioCell Collagen is about 60% with hydrolyzed collagen as its predominant protein. These highly absorbable collagen peptides, once absorbed into the small intestine, help increase the pool of amino acids which are in turn used by hair follicle cells to produce keratin protein for healthier hair fiber. 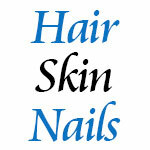 Like hair, fingernails and toenails are made of keratin and appendages of the skin. The nail consists of the nail plate, the nail matrix, and the nail bed. The nail bed is the skin beneath the nail plate and important in maintaining nail health. Like the skin, it is composed of two types of tissues, the deeper dermis containing capillaries and glands, and the superficial epidermis which is just beneath the nail plate. As we age, the plate grows thinner because dermal structure and function deteriorates. BioCell Collagen® supports nail health by maintaining healthy levels of both collagen and HA in the nail bed.